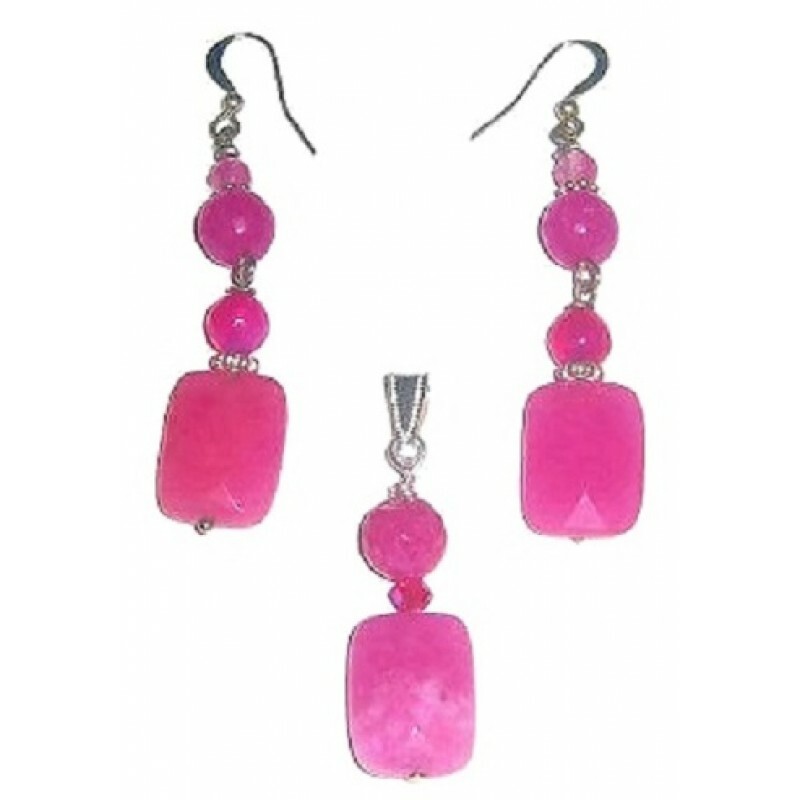 This pendant set consists of beautiful faceted jade beads. The earrings are 2-1/4 inches long with silvertone earwires, and the matching pendant is 1-1/2 inches with its silvertone bail. This very lightweight pendant easily hooks on to your favorite chain necklace. So, if you do not feel like wearing a bulky necklace, you can add little pop of color to your look with this fuchsia pendant and earrings that match with it. This choker set adds a touch of elegance to your outfit. It consists of lovely mother-of-pearl.. This choker is expandable and does not require a clasp. It is very comfortable to wear and has..